Freight Alley: a region where logistics contributes to more than 40% of the economy. ArcBest's pension problems. JP and Chad sit down with Ashley Smith from Truckers Against Trafficking for 5 Good Minutes. It all connects: supply chain sustainability is just good business. 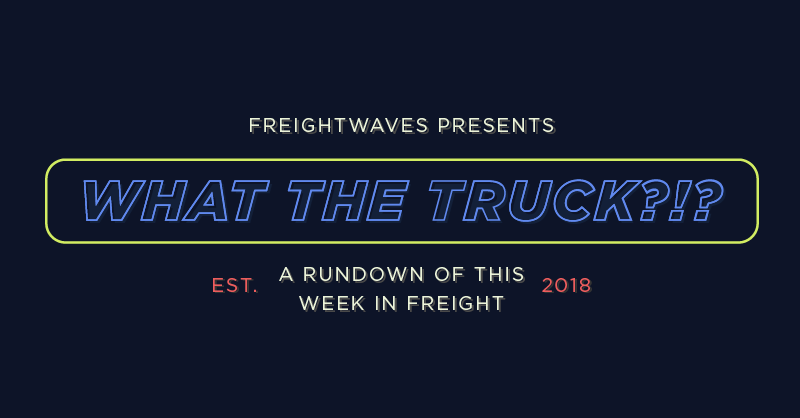 Finally, Punjabis and their rise as an Indian-origin trucking community in the U.S. Chad and JP discuss all this and more on this week's episode. JP and Chad begin by cracking open another round of suds and discuss the benefits of "chasing the NEIPA dragon." Then, they touch on a little bit of everything from this week's wide-ranging headlines of the week. They interrupt their program for 5 Good Minutes, sponsored by Trimble, with Ashley Smith from Truckers Against Trafficking. Then, they go for broke and try to round up eight more headlines in two-minutes or under for the fourth consecutive time. What is the Typhoon Mangkhut fallout on shipping and the supply chain?